Nextiva (http://www.nextiva.com), a leading provider of cloud-based business VoIP services, announced today that its redesigned online support center is now available for customer use. The VoIP-based help center offers video tutorials, setup guides, instructional material and FAQs for customers and those interested in learning more about Nextiva’s unified communications. Last month, the Nextiva Amazing Service™ team joined forces for the first ever “Build-A-Thon,” a 16-hour weekend event spent collaborating, writing, and redesigning the support center in an effort to provide the most user-friendly and easy-to-navigate environment possible. The cohesive event structure is the newest piece of Nextiva’s company culture and will be used for future project integration. Support center visitors can navigate to their desired section based on service areas including Nextiva Office, PBX SIP Trunking, Nextiva Connect, and vFAX. Each category includes getting started guides, feature setups, answers to general questions, billing information, and troubleshooting assistance. Instructions are also included for customers to program their Cisco and Polycom office phones. A separate section dedicated to videos includes how-to guides, sixty second “Tip in a Minute” features, and installation walk-throughs. Headquartered in Scottsdale, Arizona, Nextiva (@nextiva) is a privately held member of the Unitedweb family. 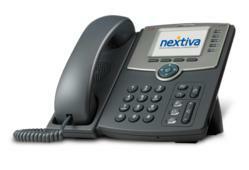 Nextiva is one of the country's leading providers of cloud-based, VoIP business communication services. Nextiva has won more than 30 Independent Technology & Telephony Awards, including numerous "Product of the Year Awards" by Internet Telephony magazine. Nextiva delivers “Fortune 500” phone service at start-up prices and serves thousands of small-to-midsize companies across the United States. For more information call 800-983-4289 or visit http://www.nextiva.com.